This volume of translations unites three shorter works by Arthur Schopenhauer that expand on themes from his book The World as Will and Representation. In On the Fourfold Root he takes the principle of sufficient reason, which states that nothing is without a reason why it is, and shows how it covers different forms of explanation or ground that previous philosophers have tended to confuse. 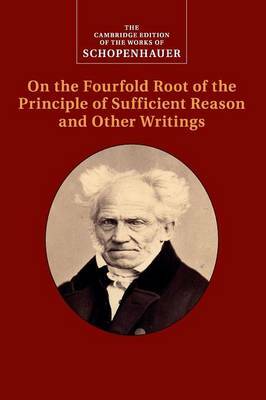 Schopenhauer regarded this study, which he first wrote as his doctoral dissertation, as an essential preliminary to The World as Will. On Will in Nature examines contemporary scientific findings in search of corroboration of his thesis that processes in nature are all a species of striving towards ends; and On Vision and Colours defends an anti-Newtonian account of colour perception influenced by Goethe's famous colour theory. This is the first English edition to provide extensive editorial notes on the different published versions of these works.